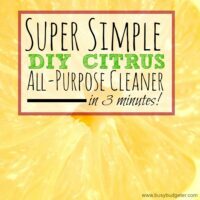 I don’t know about you, but I’m always looking for ways to reduce food waste at home. 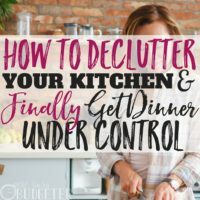 It’s the frugal gal inside me who *cringes* at the thought of tossing out perfectly good food. Never fear! There are tons of great ways to reduce food waste that are delicious and totally easy. Good news. 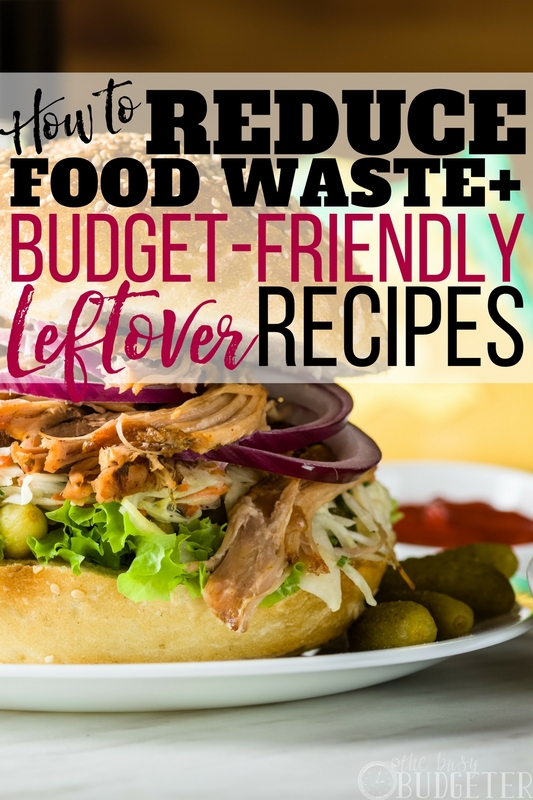 The best way to figure out how to reduce food waste in your home is to start with a few money-saving prep tips and finish it off by getting creative with “recipes” for leftover food! Some of these ideas will give your leftovers a whole new life. It won’t taste the same or be recognizable as “boring ol’ leftovers” (wahwaah….). It's time to take leftovers to the next level. Because while I love being frugal, I don’t think my husband or kids (or I) would want to eat back-of-the-fridge leftover mystery meat sandwiches anytime soon. I’m sure yours don’t either. Pork chops are on sale at the grocery store! You come home and whip up a SUPER yummy dinner: pork chops, mashed sweet potatoes, the works. You go all out! Gourmet restaurant-style! What do you do? Do you toss out those leftovers or try to microwave them for work tomorrow? Do you choke down a sandwich with a whole pork chop slung in the middle? To avoid this predicament, I’m a big fan of making tonight’s dinner tomorrow’s lunch. In this case, almost anything works pretty well. The criteria basically have to be: Microwaves well, or tastes great cold. Chinese food, pasta dinners, saucy/soupy dinners work really well. Sauce helps the items not get all dry when microwaved, so err on the side of dinners with liquid or sauce (or with pasta and rice, combine them with the sauce before microwaving). Protein makes good cold filling for sandwiches too. Meat gets a little harder to chew cold, so slice it up. If you’re making a hot filling, simply microwave it before putting it on the bread, which can get tough when zapped. Another way we love to reduce food waste is to batch cook. You can batch cook all kinds of things: bacon, ground beef, even pancakes make great batch-cooked items. The idea is to mass-produce your meals at one time. Imagine getting everything done in one fell swoop for a quarter of the time you’d normally spend. What will you do with all your free time?! To batch cook, there are a few tools that really ramp up your game—an electric griddle, for starters. I can make 40 pancakes in about 15 minutes with a griddle. Then I freeze them and we have breakfast to go for two kiddos for the entire week! Just pop the cakes in the toaster and we’re off. You can also batch cook grilled cheese, hash browns, and meat like chicken, pork chops and more. 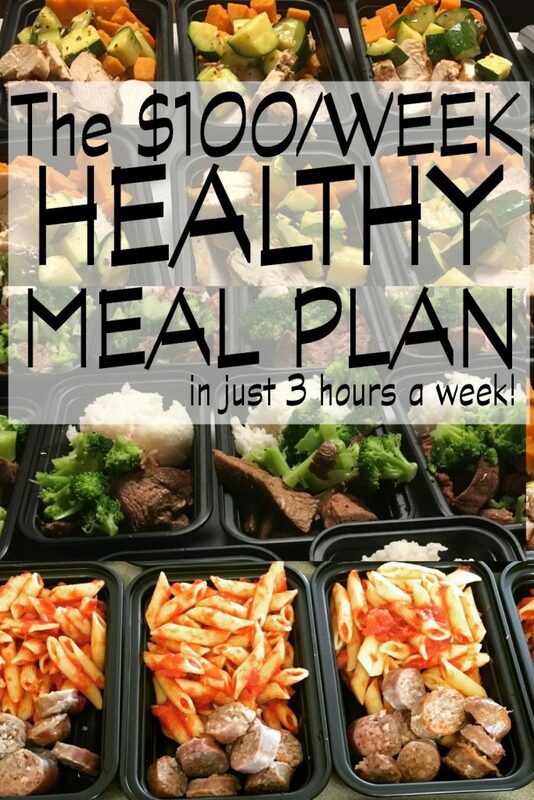 If you want to avoid leftovers altogether (which I totally get), for $100/week you can prepare a full, healthy meal plan in just three hours! Freezer cooking is literally the fastest, easiest way to cook TONS of food in a quick afternoon of prep and work. You can even chop up leftover chicken or use leftover ground beef and incorporate it into your freezer meals. You can even use up leftover vegetables or other items by tossing them into your freezer meals as well. Coming up with a meal plan for your freezer meals can be the biggest challenge of the whole process. Fortunately, I’ve got tons of ideas in the Freezer Cooking Archives. Simply write down your plan and then mix and match with the items that will fit your family’s preference. Freezer meals offer tons of options and often items like casseroles can be enjoyed several times and over several meals. 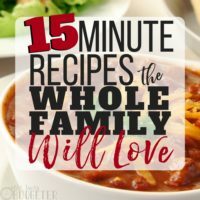 Slow cooker options such chili, pulled pork, and tortilla soup are also easily stretched through several meals (and are among my family’s favorite freezer meals)! Revamp your leftovers with these SUPER easy ideas! Leftover ham? Cook up grilled cheese with the ham right inside. It's SO delicious! Another quick fix? Throw your leftovers into macaroni and cheese! Try leftover ground beef, a can of diced tomatoes, and chili powder. (If the meat is taco seasoned, even better!) Leftover broccoli also goes great in mac n cheese. (Try it with leftover chicken, too!) Try leftover ham with a can of peas or sliced up leftover hot dogs. As I'm sure you know, pretty much any holiday or get-together will yield a ridiculous amount of leftovers. Try this awesome leftover turkey Alfredo that takes 15 minutes to throw together. You could also use leftover chicken in this recipe or go for leftover mushrooms or beef for more of a stroganoff feel…whatever you have lying around! One of the biggest items we waste is leftover lettuce. It’s cheap and it doesn’t last long, so it seems like it never gets used up. With leftover rotisserie chicken, you can easily use it to make a yummy strawberry avocado chicken salad, or add lettuce to your wraps and chicken salad sandwiches. I know, I know. 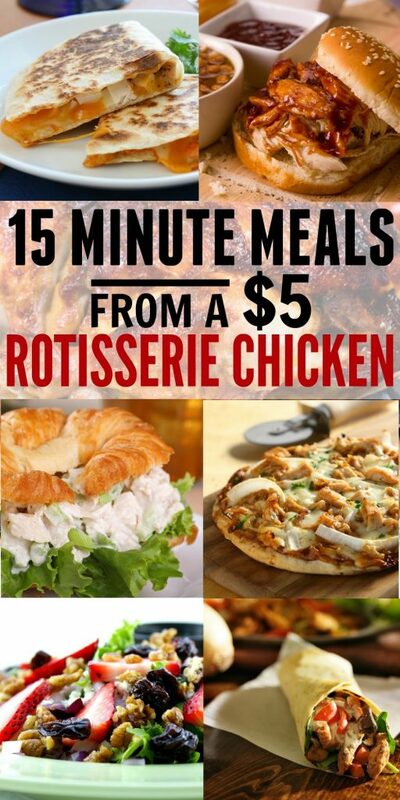 I talk about rotisserie chicken meals a LOT. But they're SO GOOD. So yea, we also buy rotisserie chicken often. It’s usually on sale for around $5 (and sometimes it’s even 2 for $5) and you can make so many meals from it and use it to stretch other meals. There are certain “food stretchers” that you can always have on-hand to help you use up leftovers and incorporate it into your meals. Simply pick one of the stretchers and add your leftover meat, leftover potatoes, leftover veggies, or other items. I keep most of these items on hand all the time, so when we have leftovers I can just give them a sauté, add some cheese or sauce, and turn them in to something else. Frozen bagged vegetables (add with leftover protein to soups, pasta, rice or other dishes to stretch a little bit of meat a long way). I also keep some jarred sauces and dressings on hand to help stretch items a little further. Leftovers can get a little dry so adding sauces help keep things yummy, especially when microwaving them. Getting creative can really help you reduce food waste and make the most of your leftover food. Don’t throw it away (or hide it in the fridge)—find a way to use it up and enjoy it a second time! There are tons of great recipes for leftover food—what are YOUR faves? We used to toss out so much food before we started doing freezer meals or meal plans like you have said. That helped save so much waste! My family does not like leftovers at all. So I try to plan for whatever I cook that night to have two days later for lunch so we can have a break or use what I call multipurpose food a lot. Meaning If I cooked Italian chicken and rice one evening I can use the chicken the next night for barbecue chicken sandwiches or these awesome enchilada type things with chicken and rice in them. I’m glad to know that I’m not the only person who shoved food at the back of the fridge to “use later”. 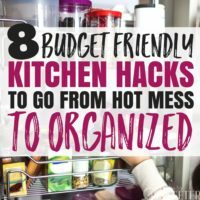 Meal planning and freezer cooking have saved me from wasting a ton of food and helped me stick to my food budget. We love to use leftovers for lunch the next day. It is amazing what you can do with a little extra chicken or other meat! One of our favorites is to make leftover nachos. I used to waste so much money throwing away leftovers and eating out. Meal planning a week at a time (including meal planning lunches using leftovers) has made a huge difference in our monthly food budget! I am definitely guilty of tucking the food back in and looking the other way. Great tips! We’ve been doing more batch cooking as we are losing weight- not only does it help with not wasting food, not having as many choices has helped us lose weight too. Hey, I was raised in poor, christian home and I have learned that food shouldn’t be wasted! I never toss any food unless its inedible anymore and I hate people that just waste it while so many people in the world are starving! Brian recently posted…Bench Press Vs Dips: Which Is Better For Strength & Hypertrophy? Hi. I’m a gardener, so I know that to grow veggie is not easy. if people grow anything by themselves, they will reduce food waste. Thanks for your article! These are fabulous ideas for reducing the food waste at home. I also try to reduce the food waste at home and I am planning the meals for a week so I can use all the products there are in the fridge. I’ll definitely try this at my home. Thanks for these amazing ideas ?